Venice, also known as the floating city, is located in Veneto, one of Italy’s northern regions. The city is built on more than one hundred islands. 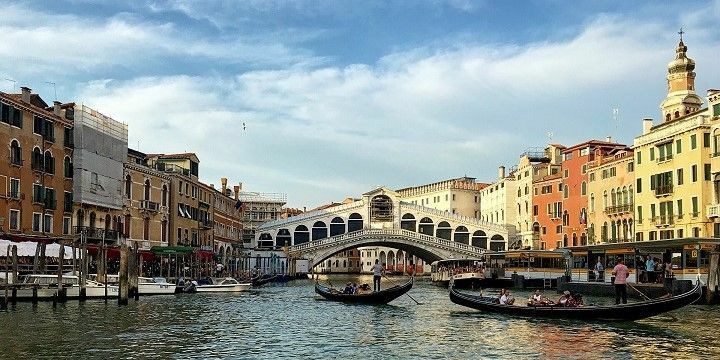 They’re connected by waterways and about 400 bridges, including the famous Ponte di Rialto and Ponte dei Sospiri (the Bridge of Sighs): the latter got its name from the prisoners who sighed while taking their last glance over Venice from the bridge, before entering their dark cells. The Ponte di Rialto is one of the most famous bridges in Venice. While Venice is a car-free zone, it’s easy to get around by foot, barge, or water taxi. Exploring the Grand Canal in a traditional gondola is also a unique experience, but it’s definitely not cheap! Venice’s busiest square is St. Mark’s Square. Its main attraction is the beautiful St. Mark’s Basilica, with its freestanding bell tower. Be sure to plan plenty of time to take in this impressive Byzantine-style building, with its golden mosaics, and four, 13th-century gilded bronze horses. Explore the square’s many small shops and restaurants, including the famous Caffè Florian, Italy’s oldest coffeehouse and former meeting point of artists and intellectuals. St. Mark’s Square is Venice's busiest square. Nearby, you’ll find many of Venice’s impressive palaces, such as the Venetian-Gothic-style Doges’ Palace at the Grand Canal. The baroque church of Santa Maria della Salute and Rialto Market (with its fresh fruit, vegetables, and fish) are also well worth a visit. It’d be a pity if you only stayed on one island! Take the boat to the Island of San Giorgio Maggiore, which is home to a 16th-century church of the same name. From its viewing platform, you'll be able to enjoy a great view over Venice and the surrounding rivers. 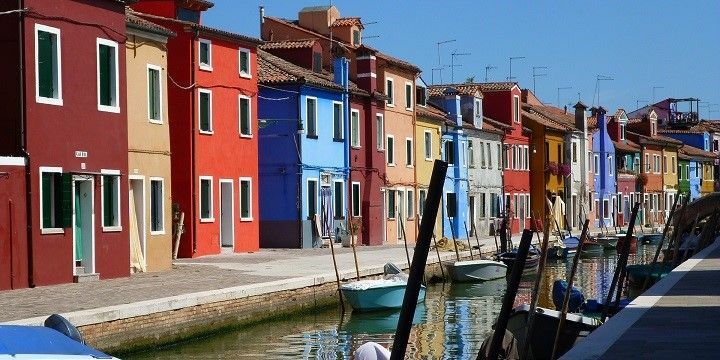 Further north, you’ll find Murano, a series of islands famous for their handmade glass, and Burano, one of Venice’s largest islands, with beautiful colorful houses. Burano is a great trip from Venice's main island. If NextStop24 helped you to choose your next travel destination, we'd be very grateful if you’d search for your accommodation and things to do in Venice through these links. They're affiliate links, which means that we will receive a small commission for every booking made through them. There are no extra costs for you; you'll simply be helping to keep NextStop24 running. Thanks! Wonderful city for a quick 1 or 2 day trip with a romantic setting. The city is brimming with history, movement and shops. Ideally explored with a loved one. Make sure to have a full wallet because Venice is quite pricey. A ride on the gondola is a nice experience. 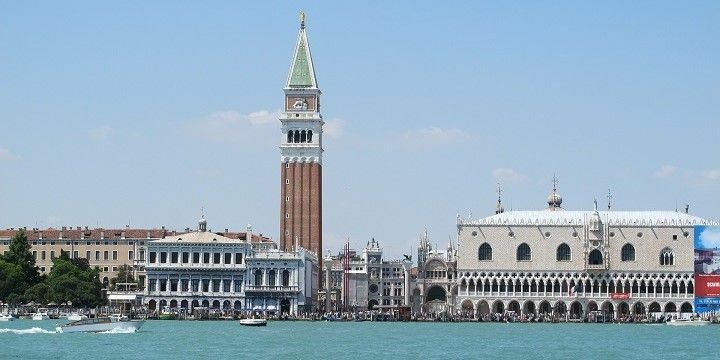 One of the main attractions is San Marco Square and you can get on top of the San Marco Tower for panoramic shots. The Doge Palace is nearby and it's a beautiful and opulent example of how the nobility in Venice used to live. You can also take a ferry to Murano & Burano islands where you can see how the Murano glass and Burano lacework are made. It felt so odd to enjoy a completely car-free vacation, but it was amazing! Venice offers the perfect combination of beautiful architecture, fascinating culture, fab shopping opportunities, and, of course, delicious food! The canals can get smelly, but you’ll get used to it.